Hi Leo here, happy new kit time! Here are the details for the next of the Shape Up challenges. If you need to get up to speed with week one the details for week one and the intro to the new challenge is here. I'll post a new challenge up every week over the next four weeks, (this being the first). Each new challenge will be posted here on the blog and also in the Facebook Group for you to follow along with. Complete all the Shape Up weekly challenges to be eligible for an extra goody in your next kit box! The closing date to complete all four of your Shape Up challenge projects will be 22nd May 2019. All projects must be new projects made specifically for this challenge. You can use any stash you choose but it's a great opportunity to dig into your kit box and not leave it unused! Ready to see the second challenge? 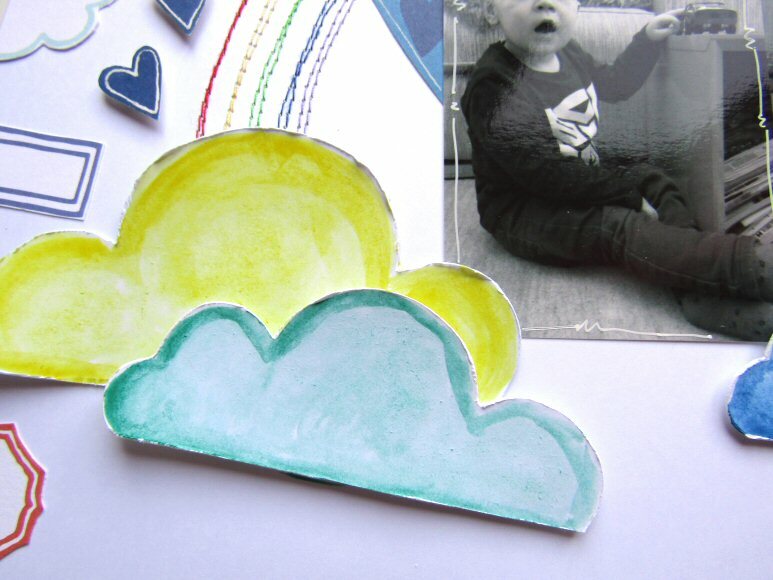 If you can't print a template you can draw a simple cloud shape or use a punch or cutting machine to make some. To get you kick started with an idea of how to use a cloud shape here's a sample I created using the templates sheet. 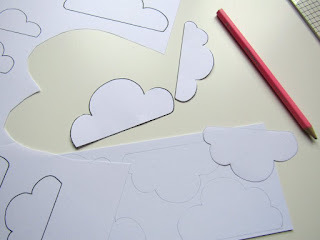 To start out with I cut out some of the cloud templates and sketched around them onto pieces of white cardstock then cut them out. 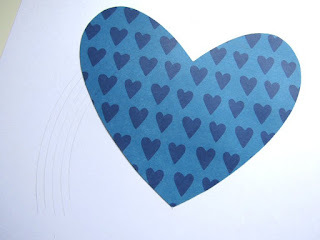 I then cut out a heart shape from patterned paper and glued it near the centre of my background cardstock, this was also white card. I wanted to create a rainbow effect coming from the clouds so dived into my stash to see what I had in rainbow colours. My most readily available item was sewing thread so I picked out purple, blue, green, yellow and red. I then sketched out some lines with my compass in close together arcs across my page. Then it was just a case of using my sewing machine to stitch lines along those lines. I left the lower thread the same and just switched out the upper thread when changing the colours. I added some watercolour paint in similar rainbow colours to my cut out cloud shapes then added them to my page putting them at the bottom and top of the stitched rainbow. It was then just a case of adding more embellishment. 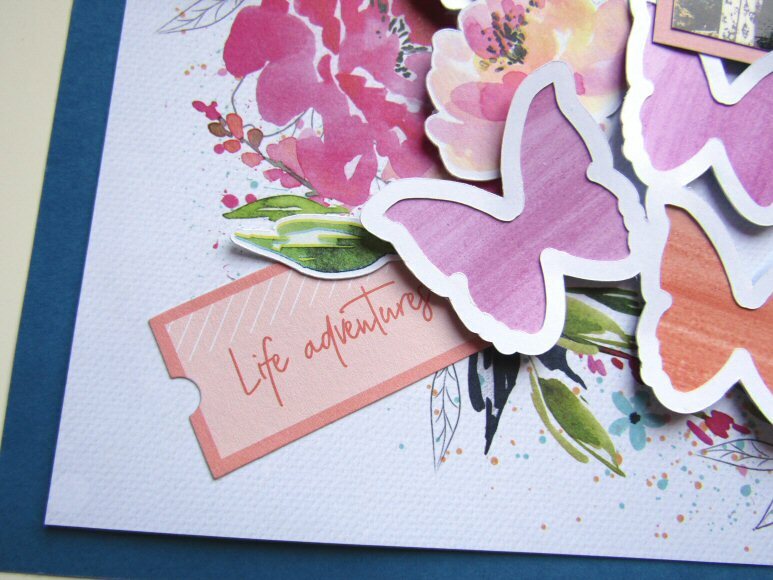 I decided that it was looking a little plain so I added some of the labels cut out from the Pinkfresh Studio Joyful Day Perfect Moment paper, (in the Lite kit) around the edge to fill the page more. I also added some of the Pinkfresh stickers from the main kit and die cuts from the Custom Card kit. The red phrase is from a card in the Jan/Feb Custom Card kit. Ready to have a play yourself? Once you've finished your creation upload it to your platform of choice. 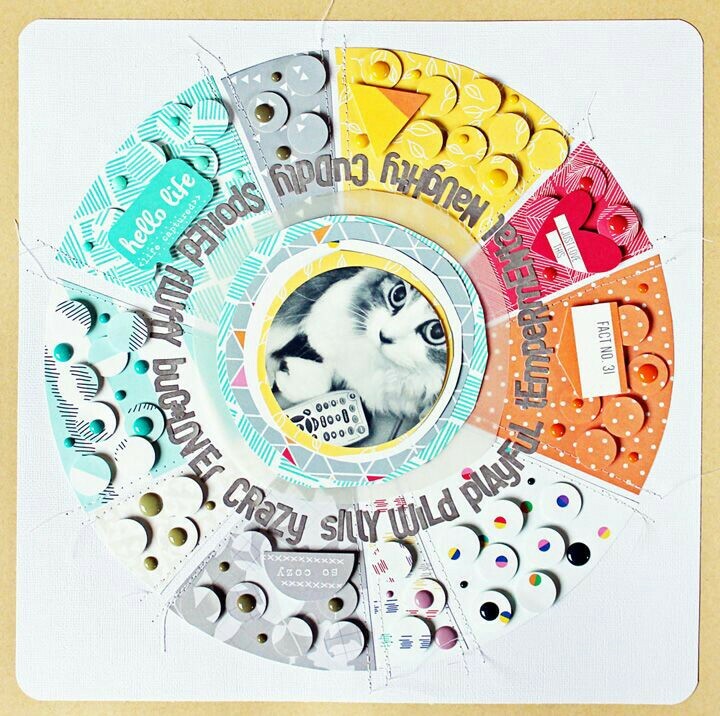 For Instagram tag @craftytemplates and mention it's for the Shape Up Quirky Kit challenge so I can find it. For Facebook add it to the Quirky Kits Group - they'll be a post for each new challenge there to share it to or else mention it's for the Shape Up challenge when you post it so I can find it. 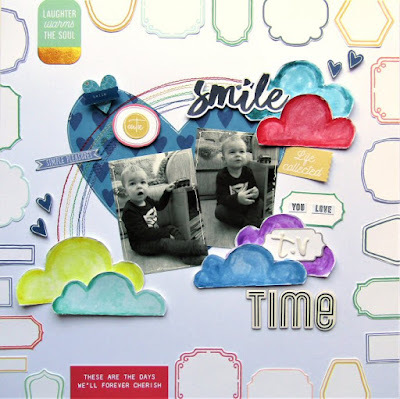 For blog add a link to your project from your blog in the comments below any of the Shape Up challenge posts, (like this one). With navigating my way through what life throws at you, you sometimes forget the importance of taking time for yourself and to do what you love - and for me that is scrapbooking. So I set aside everything that has been going on around me, cleared my desk and just scrapbooked for the evening. It was everything I remembered it to be! Since I was indulging myself in a little "me" time I thought I would scrap some photographs of me too!! 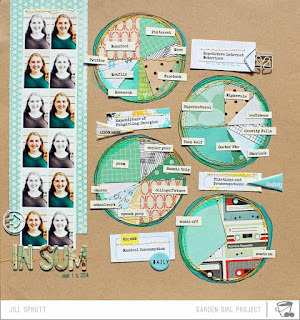 I knew when I saw the Cocoa Vanilla papers and ephemera in this kit, I had to use these right away to create a layout. The floral wreath was always destined to be fussy cut. I managed to retain a small 1/2 inch frame from that paper to be able to use as a border on another project too!! I was going to cut the wreath in half and use it in 2 sections but just couldn't bring myself to do it, so I kept it as it was and used it as a complete piece. Before I stuck the wreath down, I grabbed some Heidi Swapp Colour Shine in Black and added some ink splatters, mainly on the outside of where the wreath would sit. 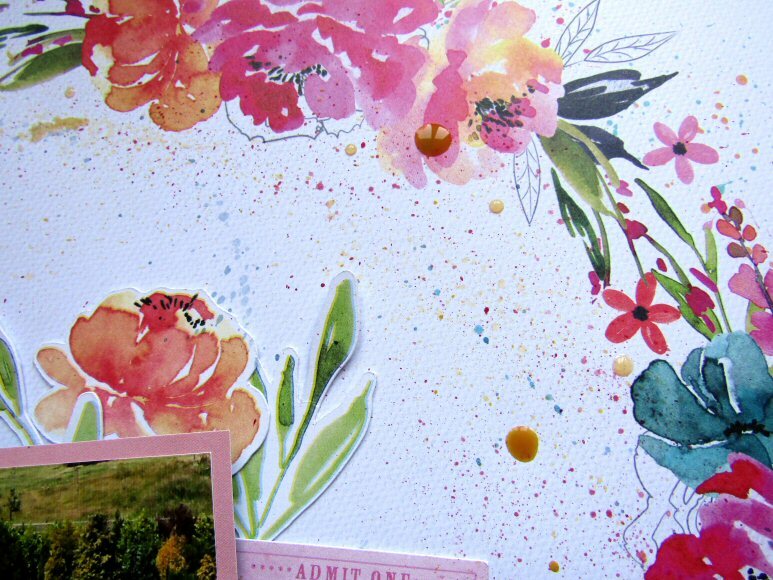 The background paper I used was also Cocoa Vanilla and this was the "Sprinkles" paper. I would love to have used both sides of this paper as it was equally as great but I decided to use the B side as it looked like the edges were treated with mixed media already and it formed a natural background paper for my wreath to sit upon. I added some foam behind my wreath to give it some dimension and shadows. I then added in 2 photos of myself. They are slightly different but very similar and I like this technique where you have 2 photos and cannot decide on which one to use.....just use both! I didn't back these at all, just added a little bit of foam behind them to make them the same height as the wreath. I thought long and hard about my title. Originally it was going to be Love Yourself but found that adding in Learn To made the title seem more complete. 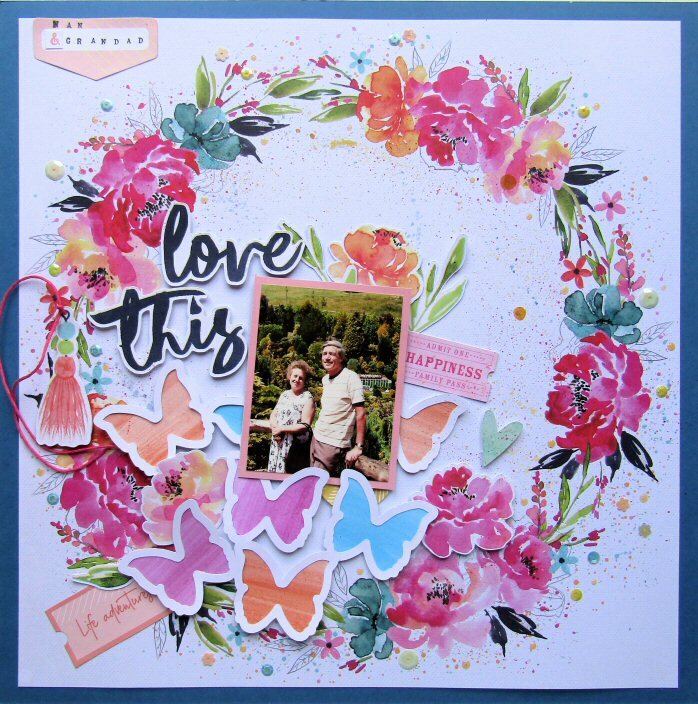 I added some final flourishes but including more florals from the Cocoa Vanilla die cut pack and a few circle stickers from the Pink Fresh Studios stickers (love these stickers and they co-ordinate really well too). And my layout is finished. This kit has really spurred me into getting scrapping again and I am already planning my 3rd, 4th and 5th layouts with it. Thanks for sticking around and I'll see you again really soon with some more inspiration!! I've delved into the new kits again and created a new layout to share. As soon as I saw the new Cocoa Vanilla goodies it inspired me to get out my watercolour paints so that was my starting point for this layout. I began by painting some scraps of white cardstock in watercolour paint colours I'd mixed to match the colours in the Cocoa Vanilla die cuts. 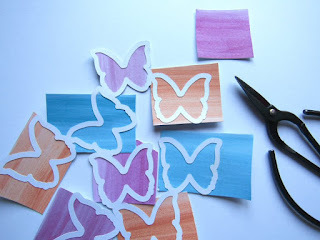 When those were dry I used the smaller half of the butterfly cut file from the main kit to add the pieces behind. I added glue to the back of the cut file, glued on pieces of the watercoloured card then left them to dry before cutting off the excess from around the outside. The finished piece I then added over the top of the Cocoa Vanilla 'So Fresh' paper from the main kit. I'd previously trimmed this paper sheet down a little on the edges and glued it to a sheet of navy blue card, (this was part of an older Quirky Kit but I don't remember which one! I'm on a mission to use up some of my coloured card that's long been neglected!). I used some 3D foam pads at the lower half of the cut file and glued the top 3 butterflies down flat as this is the area I wanted to add my photograph. 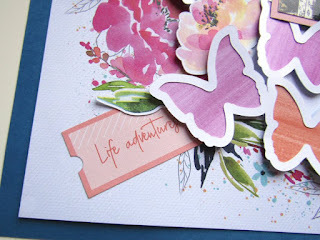 I used a mix of the both the Cocoa Vanilla Happiness die cuts from the main kit. This tassel one I added some thread to to give it an extra flourish. I punched a hole in the top and tied the thread through then fixed the ends down with a 3D foam pad behind the cut file butterfly. As well as the die cuts I also added some of the Pinkfresh stickers from the main kit again creating a layering effect by tucking them under and also adding die cuts over the top. As a last touch I added to the splashes already on the paper by embellishing them with sequins, (these are from the embellishment kit). I ran out of Glossy Accents recently that I usually use for adding sequins and after a tidy up found my old Nuvo drops, (again also from an old Quirky Kit!) and decided to try out gluing sequins down with them as it seemed similar to using Glossy Accents and it works brilliantly. I think it actually holds them on stronger! 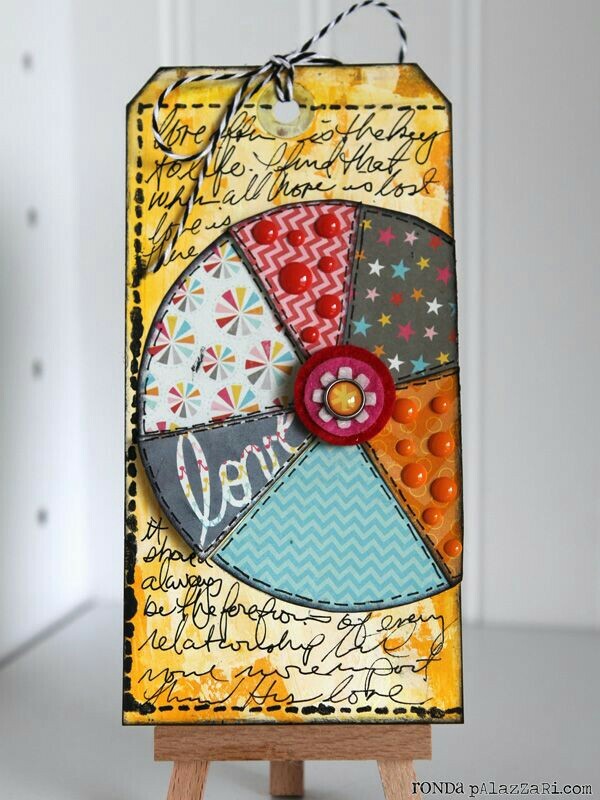 The orange colour worked well with my layout too so I also added some drops of the Nuvo on their own. Finally I decided the inside of the wreath looked a little plain so I echoed the splashes on the paper and added more splashes of watercolour paint in similar colours. I used my paint brush to dip it in the paint then water then flicked the brush with my fingers to make the splashes. If I was going to create this layout again this is something I'd do before adding the photo though so if you are going to get splashy do it as a first step. I was really weary of getting it one my photo! Hope this has given you some ideas to get diving into your kit! For this new set of challenges you'll be tasked each week with creating a layout or other papercraft project based around a particular shape. Ready to see the first challenge? 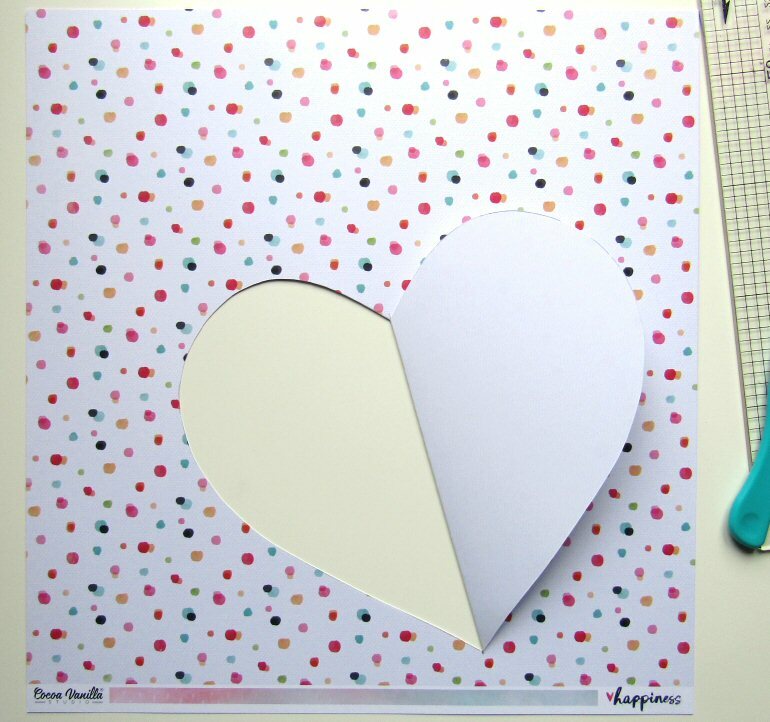 For your first Shape Up challenge you'll need to create a page/project based on the shape: Half Heart. If you can't print a template you can draw out one on paper very simply. 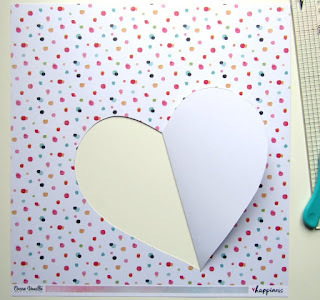 To get you kick started with an idea of how to use a half heart shape I've detailed one below using the template size half heart. How you create your project though is totally up to you. 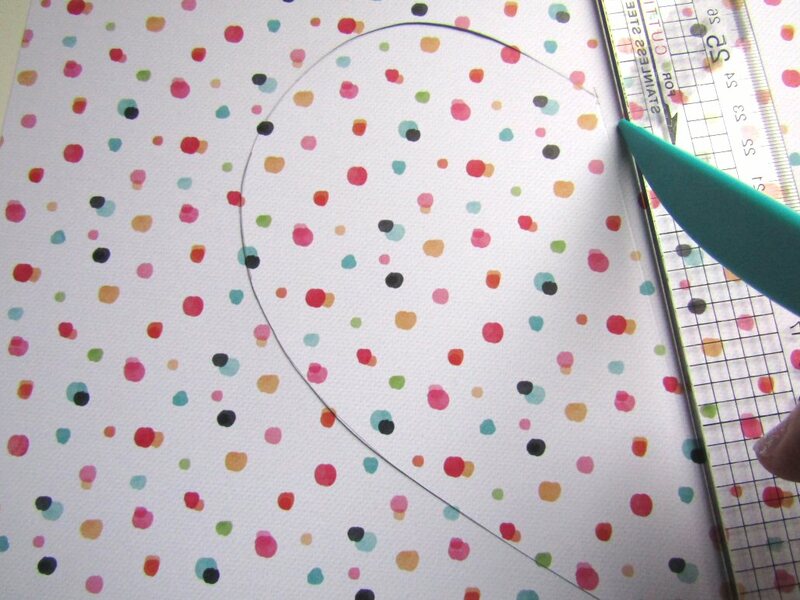 To begin with I sketched around the half heart on to the patterned paper. Next I cut around the heart edge but left the straight edge uncut and instead scored along it. Finally I folded over the heart to create the shape. For the finished layout I added paper behind the cut out half of the heart and painted the folded over part. I then painted more on a white card background and trimmed down the patterned paper before adding it over the top. 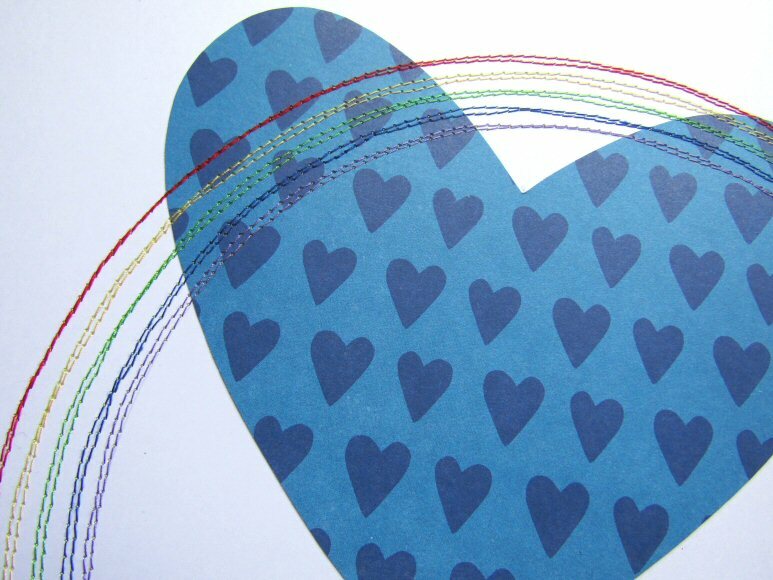 I then added die cuts tucked inside the half heart shape. I'm back with a third layout using the current kit, before the new kits arrive soon - yay!! 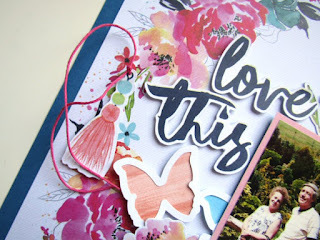 - Paige Evans Whimsical Paper 21 - (Butterflies A side, Hearts B side). 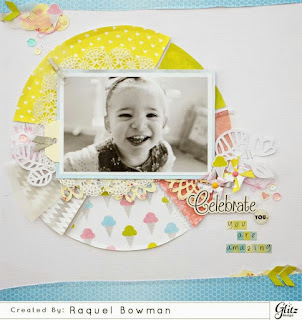 - Paige Evans Whimsical Paper 20 - (Green pattern A side, polka dots B side). - 1 branding strip (rainbow paper). 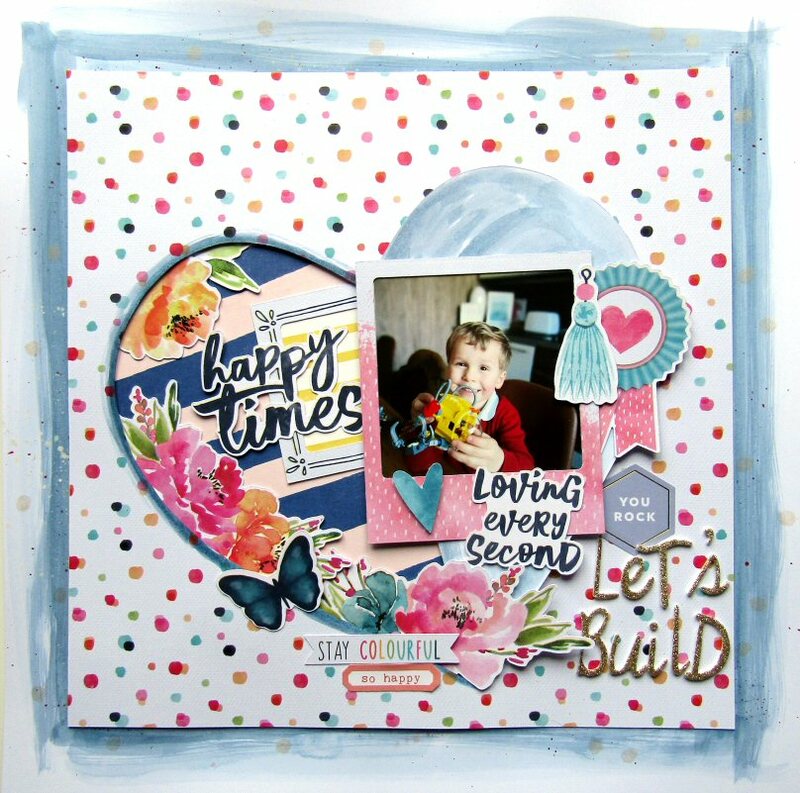 For this layout I started with the strip of polka dot paper that I had left over after backing the "beautiful" cut file on my last layout. I decided this paper would be perfect to use with photos of painting, so I found some photos of my mum building and painting our new summer house. I used a wood grain paper from my stash as my background piece, which linked with the photos of the wooden summer house. I used a branding strip (rainbow striped) from my stash to help blend the line between the polka dots and the wood grain. I wanted to use a lot of photos but none of them were particularly good quality so I used 4 small photos in a square, and used white cardstock from the main kit to mat them. I used a thin strip of the green patterned paper (reverse of the polka dots) to layer on the left hand side of the photos. To the left hand side I also added a rainbow stripe sticker from the sticker book, and a ruler sticker. I also added a fussy cut butterfly (again left over from my last layout), and a puffy paint tube, which helped to add dimension to the flat stickers. For my title I used the multi coloured foam thickers from the extras shop. Normally I'm not a fan of using letters of different colours, but on this layout I embraced the rainbow! I added a paintbrush flat sticker and a puffy phrase sticker. And again I added another fussy cut butterfly. I typed my journalling on my laptop using a typewriter style font and trimmed it into thin stripes. To the bottom right I added a 3rd cluster, to create a visual triangle, containing more stripe stickers from the Paige Evans Sticker book, a puffy paint tube and a final butterfly. For the last few months I've been creating a lot of more artsy style layouts with little journalling so I really enjoyed making this layout which I think is my typical style - multiple photos, lots of patterns, 3 embellishment clusters and journalling strips! 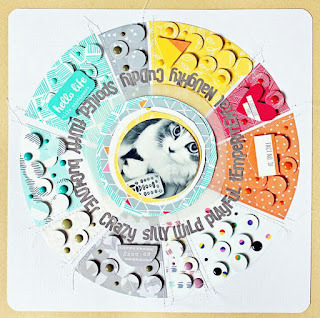 I'm on the blog today with my 2nd layout using the Jan/Feb Quirky Kits! 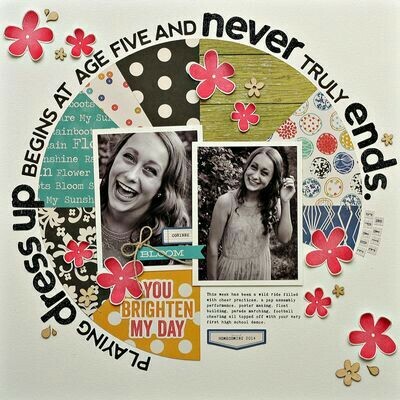 Paige Evans Whimsical Paper 20 (Green pattern A side, Polka dots B side). 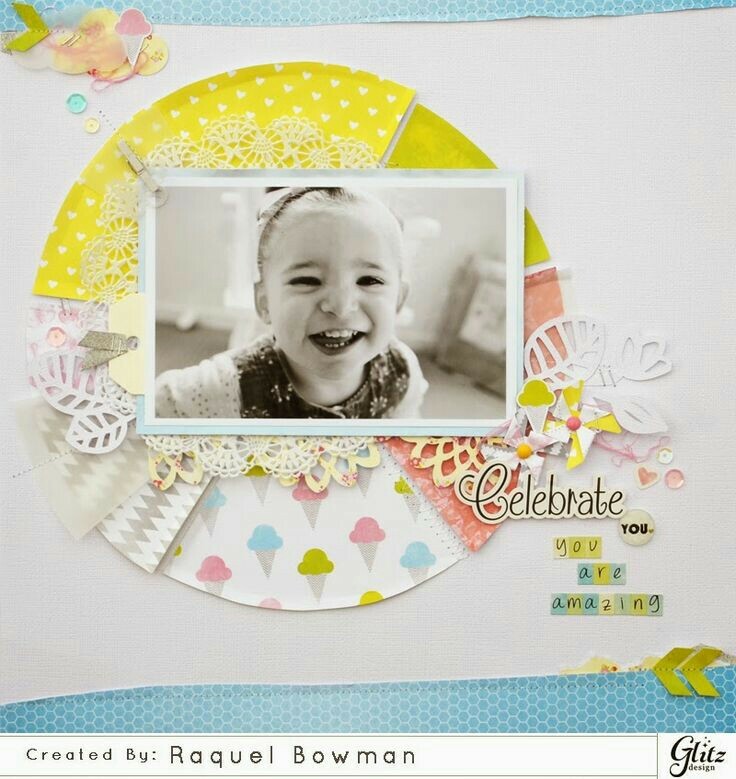 For this layout I started off with the cut file. I don't have an electronic cutting machine so I was very excited to use it. I backed it with paper 20 from the Lite Kit. I decided to make it 3D by adding foam tape around the letters on the back, before sticking down the polka dot patterned paper. So the white cut file is raised off the polka dot paper. It's a little difficult to see in the photos but you can see the shadow of the cut file at the top of the B and A particularly, showing the cut file is raised up. I then stuck the backed cut file to the yellow and white striped background (paper 9). I wanted to use multiple photos but because there wasn't much room left I decided to make a film stripe with 3 photos, which fitted nicely tucked into the side of the cut file. This photo above helps to show the dimension created on the cutfile. 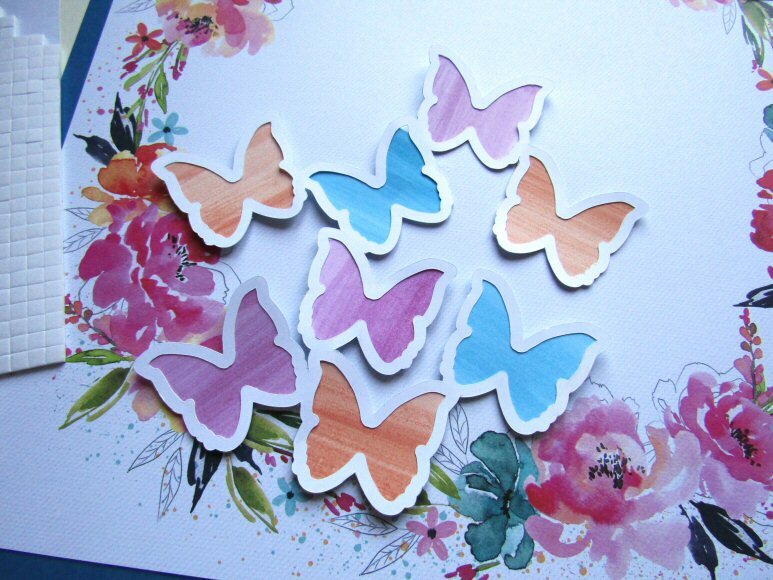 I then fussy cut every single butterfly from paper 21 in the Main Kit. This took me over an hour but I had a new series on Netflix to help me stay sane! I have to admit when I first saw the butterfly paper I wasn't keen on it due to the dark blue background. However once I fussy cut out the individual butterflies, they looked so much better, and now I love them! I also did the same thing with paper 14 in the main kit (light blue background with flowers) - the flowers look completely different once fussy cut off the blue background. And fussy cutting all the icons means I have an endless supply of embellishments - I didn't even use a 1/4 of the butterflies on this layout! As the papers are all from the Whimsical collection the colours match perfectly. So I layered butterflies over their corresponding coloured polka dot - which I personally love! As the cut file is so busy I didn't need to add much more to the layout. I added a title with Thickers from my stash. Although I love the multicoloured Thickers in the extras shop, I have so many colours on this layout already, so I wanted to use a single colour instead. I added 3 more butterflies to the cluster. Every butterfly is glued just under the body, and I folded the wings up to add dimension. And finally I added a rainbow scallop sticker from the puffy sticker set in the extras shop. And that is the finished layout! It was so much fun to try using a cut file for the first time and to use such bright spring colours. Here's you fourth and final 'On A Page' challenge! If you've not read about the new challenges you can catch up with the first one here and the second one here, and the third one here. Each new challenge will be posted here on the blog and also in the Facebook Group for you to follow along with. Complete all the On A Page weekly challenges to be eligible for an extra goody in your next kit box! The closing date to complete all four of your On A Page challenge projects will be Monday 18th March 2019. All projects must be new projects made specifically for this challenge. You can use any stash you choose but it's a great opportunity to dig into your kit box and not leave it unused! Ready for the forth challenge? The final 'On a page challenge' is - Piece of Pie. 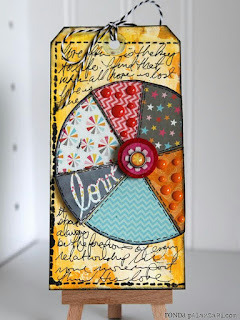 I want you to include a 'pie' or pie chart inspired element made from paper on your page for this next challenge. Basically imagine a pie or maybe a pizza and how you'd cut it up into slices. 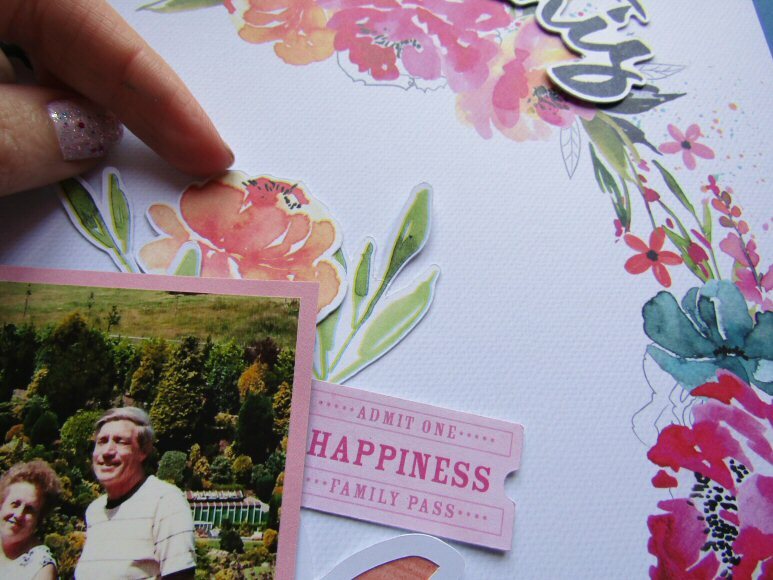 Create that in paper and put it together as an embellishment. Easy as pie! 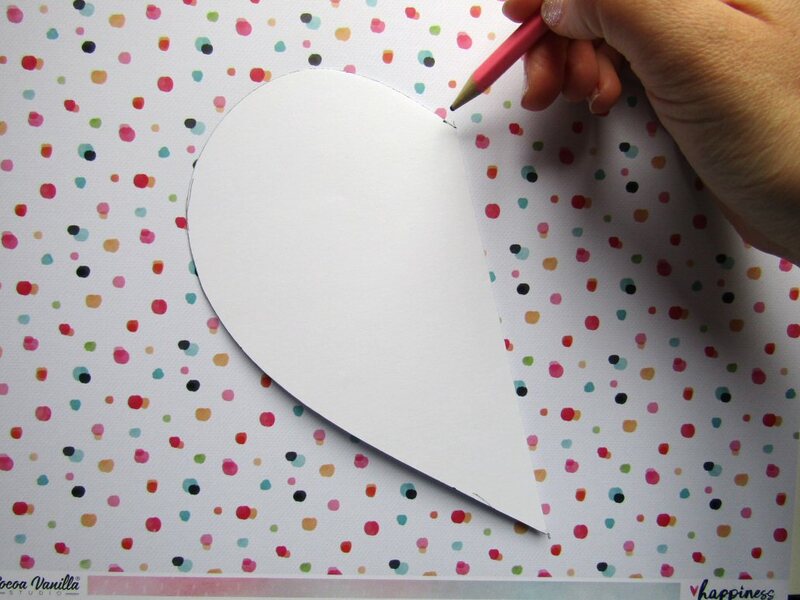 It's a fun way to use up off cuts of patterned paper and also helping you to mix up more than one patterned paper on a page. If you don't have a compass to make the circles to cut out use mugs, plates bowls etc to draw around. 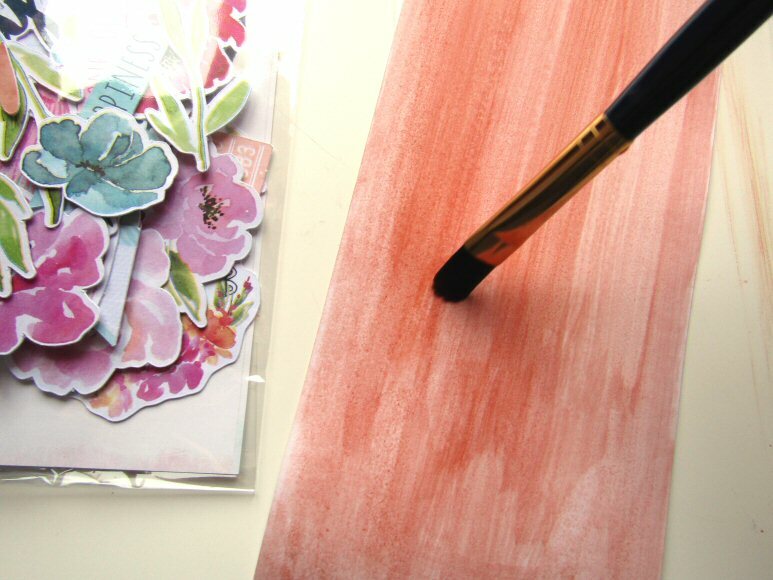 Go completely freehand or plan more first by creating a 'pie' with plain paper first, then cut it up into pieces to get your 'slices' and use those as templates to draw around the 'slices' onto your patterned paper. 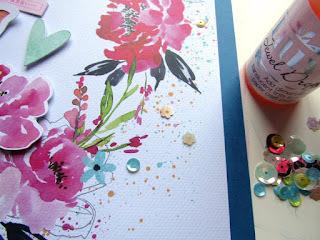 Smaller project size to show you can make these kinds of embellishments on a smaller scale too. 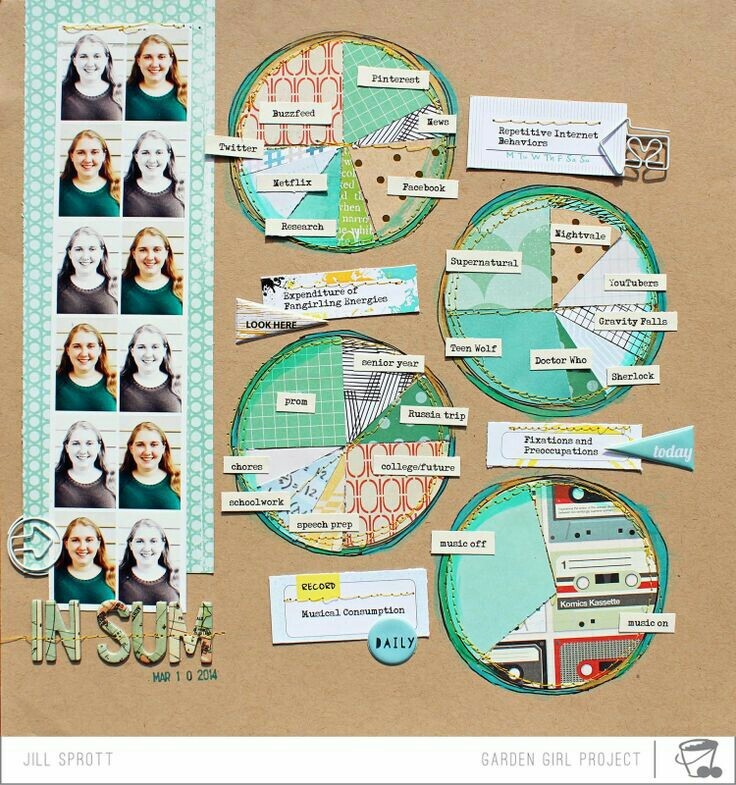 Something like this could make a fun journaling page or maybe even add smaller ones inside pockets in a pocket scrapbook/letter page filling some of the negative space around the circle with sequins? 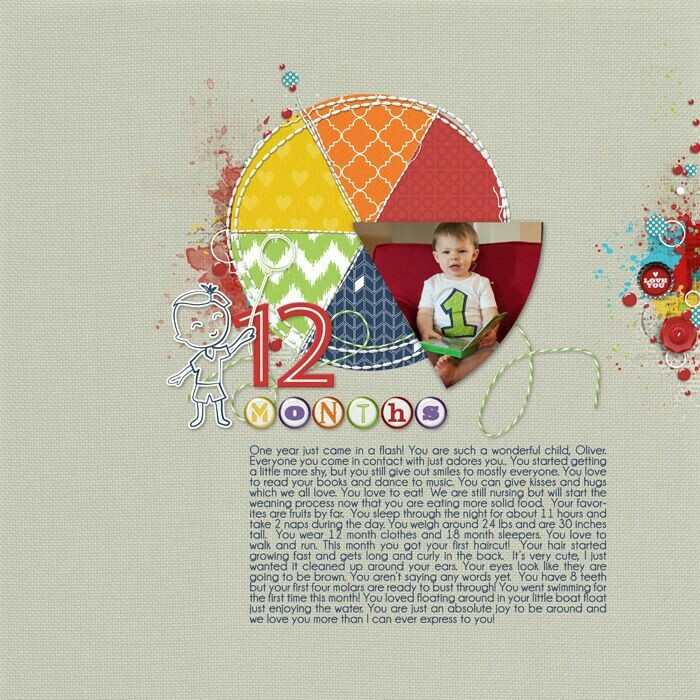 For Instagram tag @craftytemplates and mention it's for the On A Page Quirky Kit challenge. For Facebook add it to the Quirky Kits Group - they'll be a post for each new challenge there to share it to or else mention it's for the On A Page challenge when you share it so I can find it. For blog add a link to your project from your blog in the comments below any of the On a Page challenge posts, (like this one). 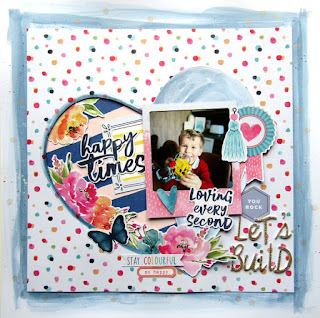 For this challenge I'm going to leave open ended what your finished project is so you can create a scrapbook page or a mini book or a pocket page or a card or a travellers notebook page etc etc. I'll leave it up to you what you choose to do. I've also left out any prompts relating to the photo/s so if you have specific photos you want to get scrapped these prompts aren't going to stop you using the photos you want, just push you with a helping hand on the things to pick out, make and do.